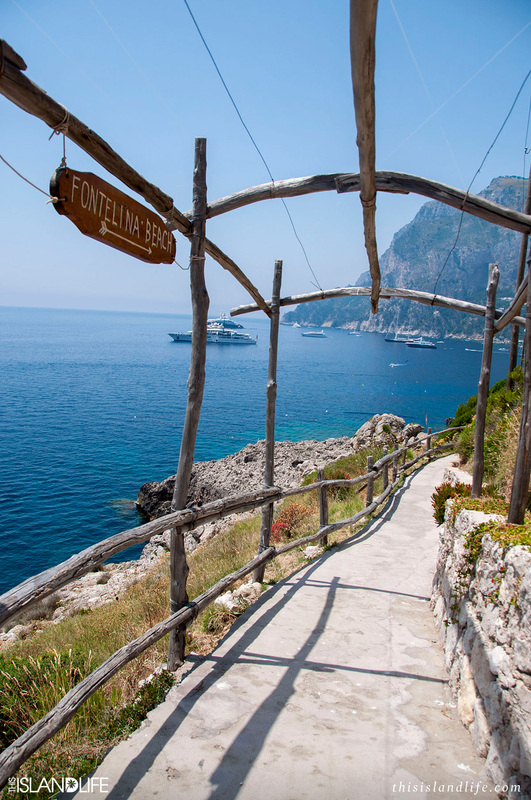 It was by chance (and a missed ferry) that we found ourselves on Capri one perfect sunny day. 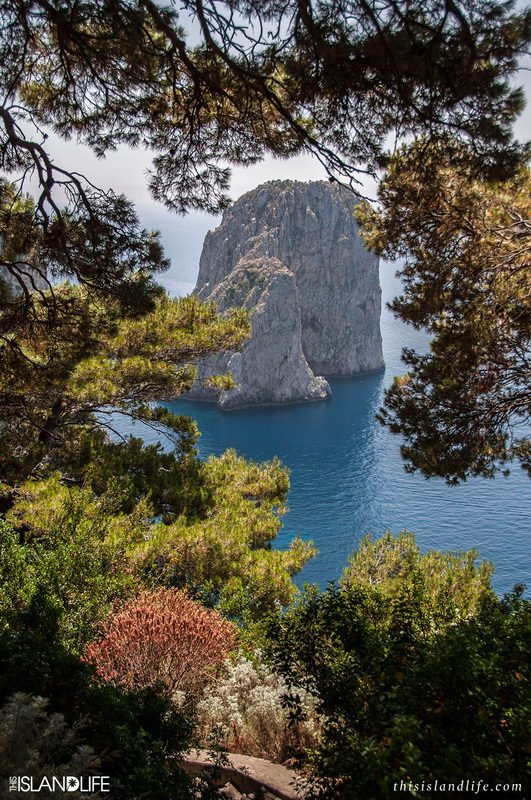 Capri is a small island off the coast of Naples in Italy and has been a resort destination since Roman times. 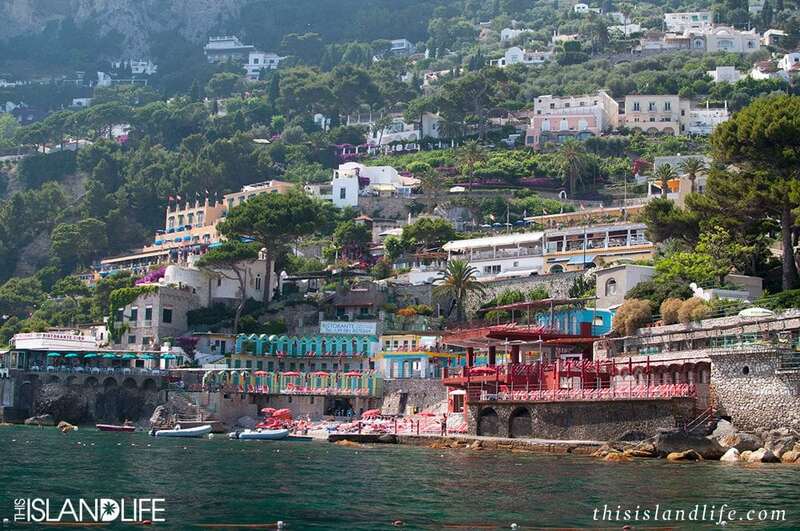 It’s still a Mediterranean hot spot and a millionaire’s playground. The port area is crazy, especially with day-trippers from the mainland but across the other side of the island we found our escape. 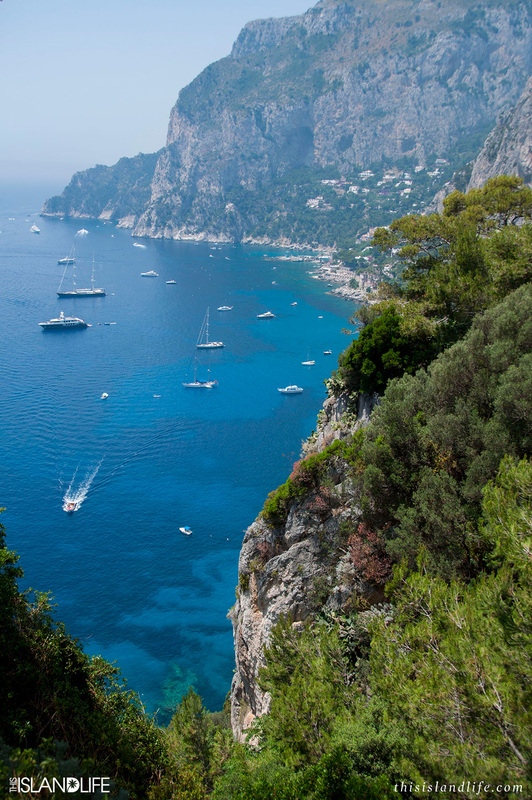 Take the cable car up to Capri Town and force your way through the hordes of tourists. If you can resist the pull of the designer boutiques, you’ll find peace through the other side in bougainvillea-lined walkways. 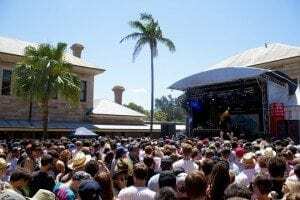 You’ll also spy stunning rooftop terraces and peek into luxury hotels. It’s a simple wooden sign that will lead you to beach paradise. “Luigi’s Ristorante” is the only clue that there is something at the end of the steep track down to the sea. 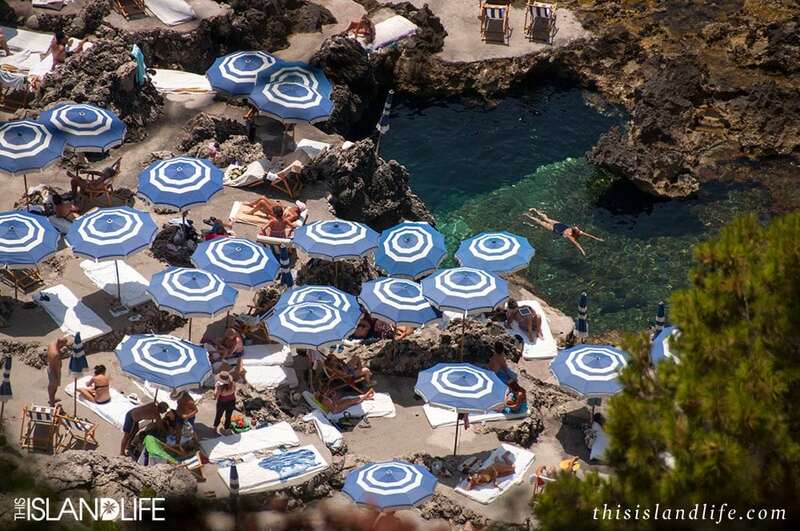 Snaking your way down the hillside you spy blue and white umbrellas below, and you know you’re in the right place; the crystal clear water enticing you to walk faster. A fork in the road will lead you to Fontellina Beach to the right. You’ll find a tiny rocky beach that looks towards Marina Piccola and you can watch the passing yachts and private cruisers. Our tip is to head left. 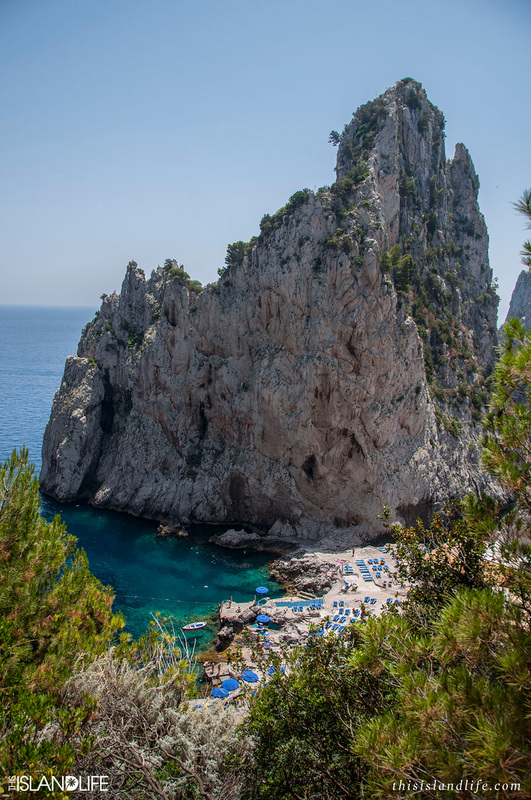 You’ll find yourself at the foot of an impressive rock formation called Scoglio del Monacone, which juts out of the water like a submerged mountain peak. It is the largest of the Faraglioni – an even more impressive collection of stone monoliths that stick out of the water up to 100m high. 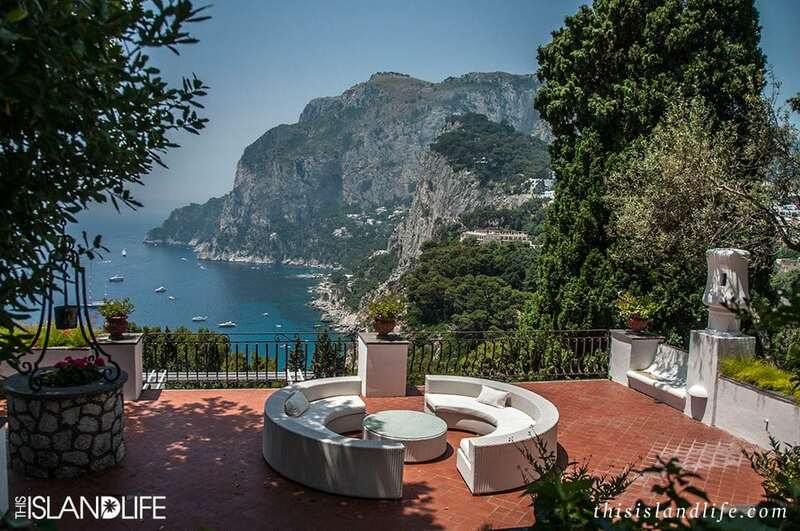 Take a seat in Luigi’s and drink in the views. Choose from the fresh catch of the day or some local specialties at this humble restaurant. 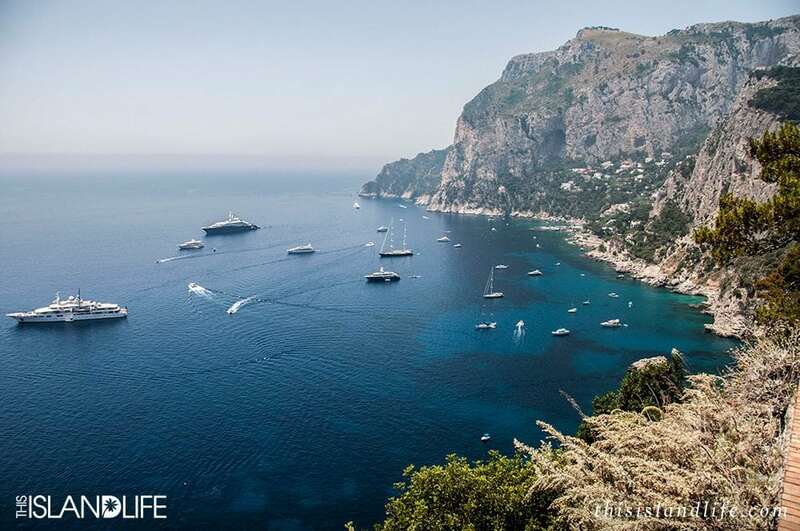 Like most Italian beaches, you’ll have to pay to enjoy the sea here but trust us that it’s worth it. The water is so clear and the surroundings are stunning. 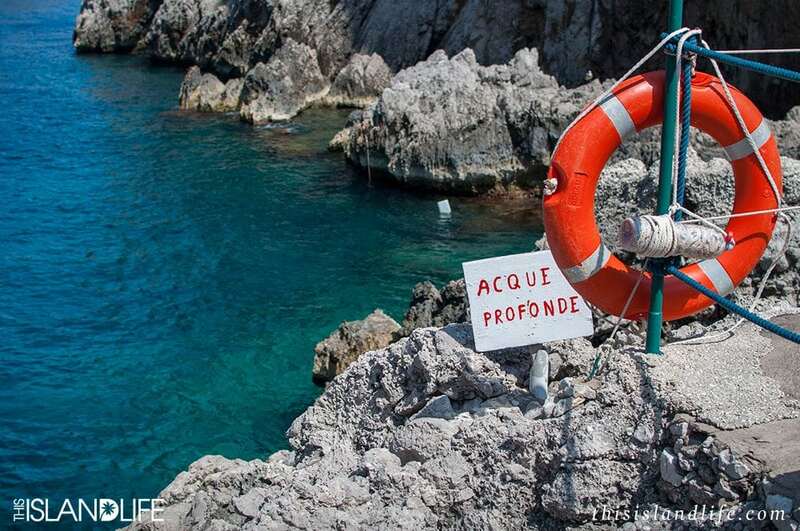 Remember no diving (vietato tuffarsi) as even though the water is deep there are submerged rocks. Let all your worries dissolve as you float in a sea of blue and green. 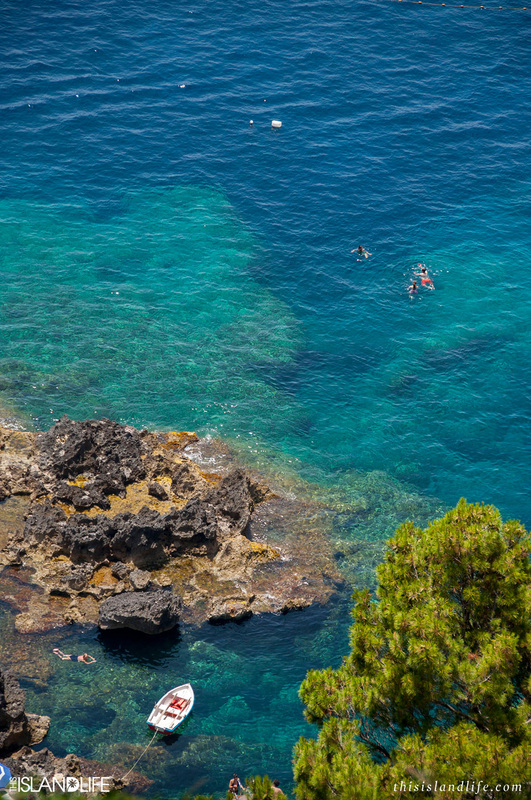 You’ll need to soak in all the relaxation you can to face the crowds as you return to Naples. Luigi’s offers a ferry boat service to Marina Piccola. Well, it’s really just a neighbour in his small speedboat but if you ask nicely, he’ll give you a tour of the naturally occurring stone arches of the Faraglioni. It’s the perfect ending to a perfect day. Back in Marina Piccola the brightly coloured beach houses greet you and you can choose to spend your day in these sunloungers. 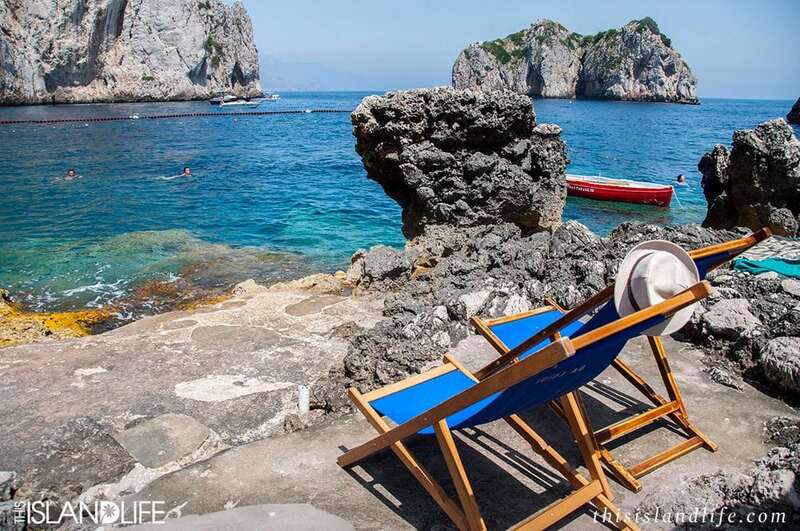 However, our tip is to search out Capri’s secret beaches. Talk to the locals and find your very own millionaire’s escape. 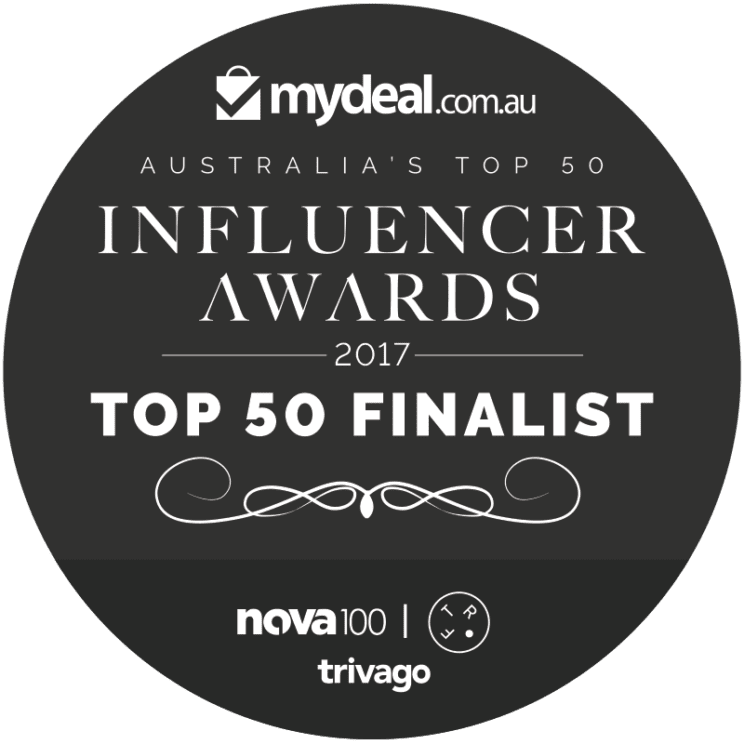 Guest post by Mr & Mrs Romance.